How to arrange family entertainment center layout? What does a successful day look like in your venue? We’re sure it’s a game room packed full of happy guests. Our game room layout tips are designed to help maximize your success in your FEC and arcade without breaking the bank! A well-planned prize redemption space is the heart of your operation. For many locations, it serves as your main point of sale and is typically the last stop for most guests and families visiting your facility. It’s your closing opportunity to impress with an exciting selection of prizes and great customer service, increasing the chances they’ll share their visit on social media and come back soon. Give your prizes good visibility. Glass counter cabinets with LED lighting are the go-to display unit for most redemption areas, but make sure you’re also utilizing the wall spaces to showcase additional prizes. Install high shelves along the walls to display your big-ticket prizes and make sure you install a few power outlets to display electrical prizes. By creating an attractive product showcase, you will draw guests’ attention to all your valuable prizes and reinforce their desire to play and increase their overall spend. Redemption tends to be the most productive part of the game room mix, we see a lot of venues having success with an attractive redemption games area in the center part of their game room and, right next to the prize display. 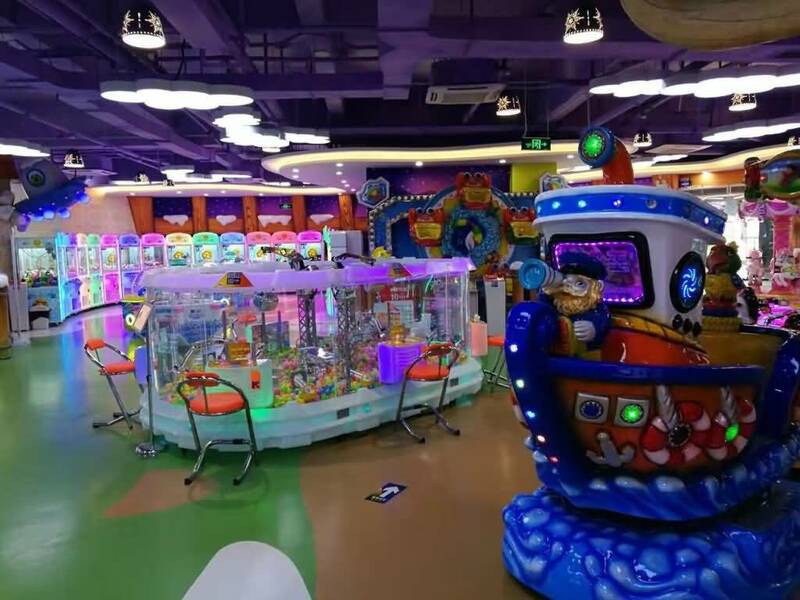 Considering redemption games are attractive to many younger guests and families, we also recommend that you place some of your kiddie rides within the area. This gives moms and dads something to enjoy with their youngest children and a reason to stretch their visit just a little bit longer. Place tall games against walls around the perimeter so you can avoid blocking the line of sight across the game room. Games such as alley bowlers, basketballs, and large sports games should be grouped in an attractive lineup. Watch the mix of smaller games with the larger ball games such as an alley bowler, Customers don’t feel too comfortable with a 1lb ball whizzing by their head. Avoid lining up games in extended back-to-back rows, as long lines of games tend to obstruct visibility and weaken security. Instead, create smaller islands of games with similar heights. This creates a more stimulating environment for guests than having games lined up in rows. Prize Box is great for that hard to define space, it creates visibility and looks great in multiples. Games that require players to time their actions should have sufficient space around them ensuring guests feel comfortable and confident when playing. 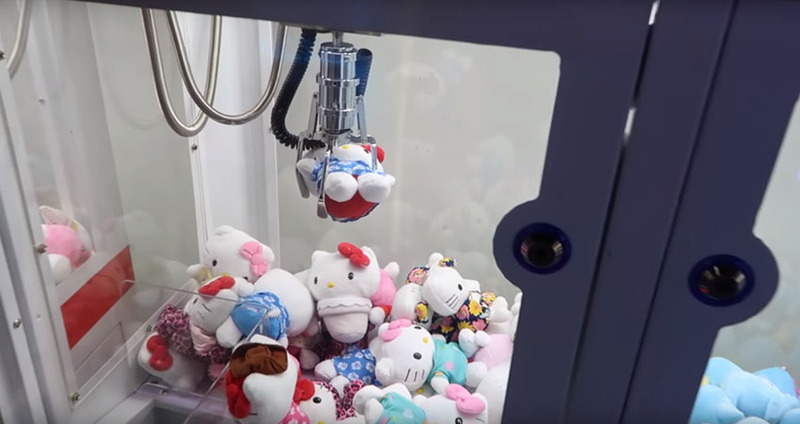 Provide enough space so they can move around the sides of skill and crane games such as Prize Box or Balloon Buster. Spectators often end up watching the action from the side of the game, which can also entice them to have a go at the next available opportunity. Let people wander through from as many directions as possible. Avoid unnecessary walls, half-walls, and doors. If there is a column, disguise it by surrounding with a selection of taller games.